Most starters are easy broken, that occured by some reasons: 1. most starters uses conventional switches with high resistance, high voltage loss and easy heating, instead of contactors. 2. Most starters use small electric brush which is easy burned when the start resistance is high. 3. most conventional starters don't equip with reduction gear, that make the output torque small, the motor in short circuit , and the coil and brush burn. Now the manufacturer has found a perfect solution, to make starters by adopting the high quality motorcycle electric loading products ,which is 110CC four-stroke motorcycle starter motor. It comes with 6:1 reduction gear and uses contacter on circuit for connecting, in a lower loss and reliable structure. Its stucture is cut and make by carbon fiber, perfect on weight and strength. Only weigh 1.42kg of small head version and 1.52kg of big head version, much lighter than the 120 grades starter on market. Considering the actual situtaion of wiring, it uses 1m #14 solicone wire, easy operation. Big head starter and small head starter version are available. Big one is recommanded for fixed wing. If you want to use it on helicopter, the small head version is the must. The small version can only be used to start a maximum 2.5 inch propeller cover on fixed wing. 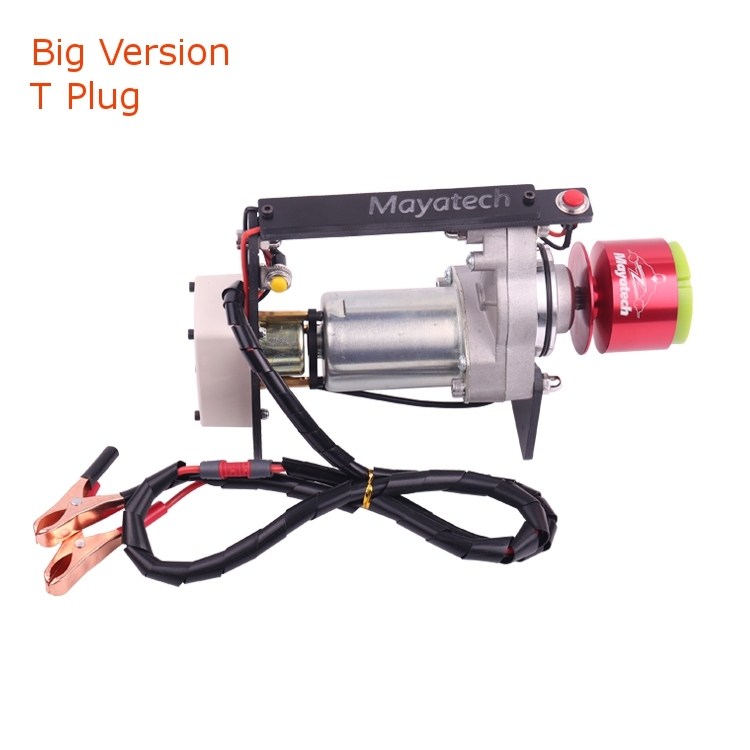 Note : This starter uses speed reduction gear to increase torsion(not direct-driven), so it will have a slight shaking when get starts, it is not quality issue. Standard large caliber head of starter, is compatible with TOC. 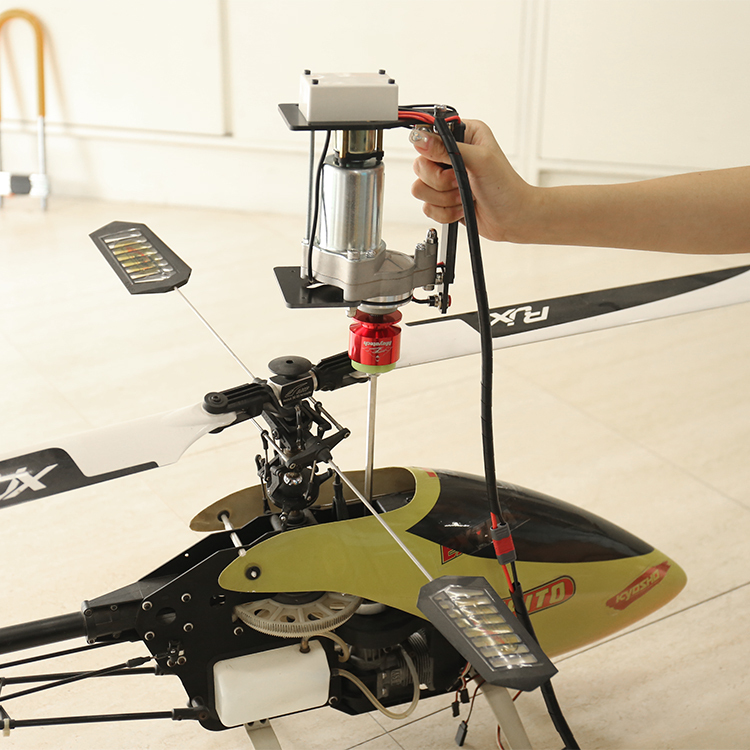 If use it with small aircraft or helicopter, please change another suitable head. If use it to helicopter, please change a small head.